Posted September 8, 2016 by Sarah Pritchard & filed under Arts & Entertainment, CD Reviews, Music. There needs to be more of this. 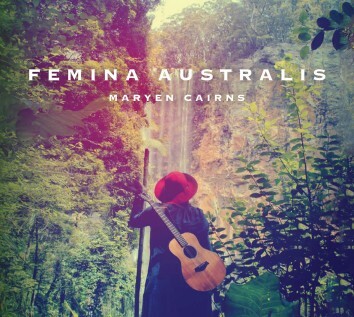 Maryen Cairns’ extremely short EP can be listened to in under 15 minutes. She leaves the listener with a craving to hear more of her micro stories. Femina Australis is composed of four short stories in song about quirky women (and some men) who have had sad times fall upon them. They focus on the struggle of the individual in different worlds. They are feminist but they are not angry, they are sad in tone and hopeful. They are filled with those who have kept their strength, their hope and their faith in people despite the surrounding circumstances.